It was bust for me. Even though I had every intention of going—- since March 2018. I asked Crystel right after the 2018 Birkie if she would like me to plan a Birkie outing for 2019. I did everything that one would do to accomplish their goal. I wrote it down. I emailed an invitation to a group of people and I set it in my mind that I would get out on the ski trails. 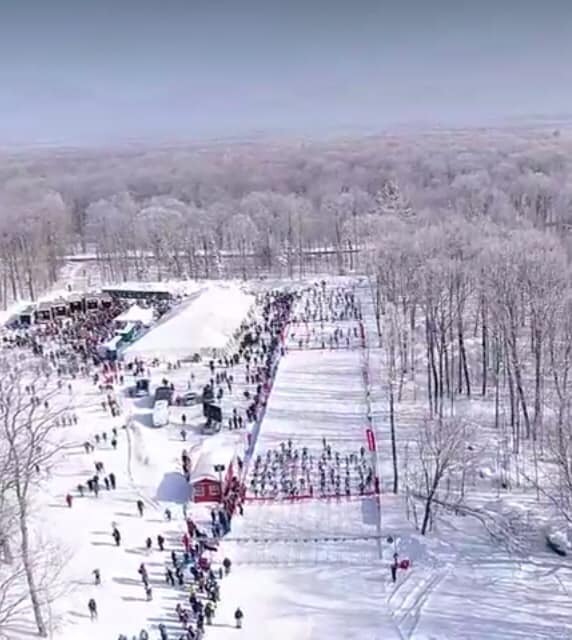 Birkie 2019 was going to happen for me. 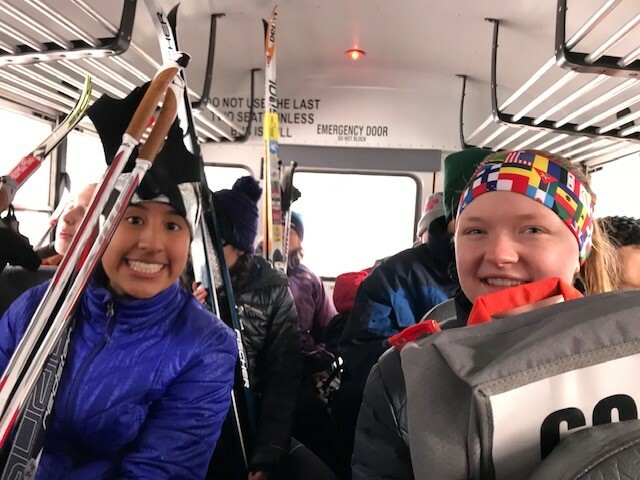 Even so, today, I’m sitting on the couch in my living room while Crystel, Jody, and friends are at Birkie 2019. 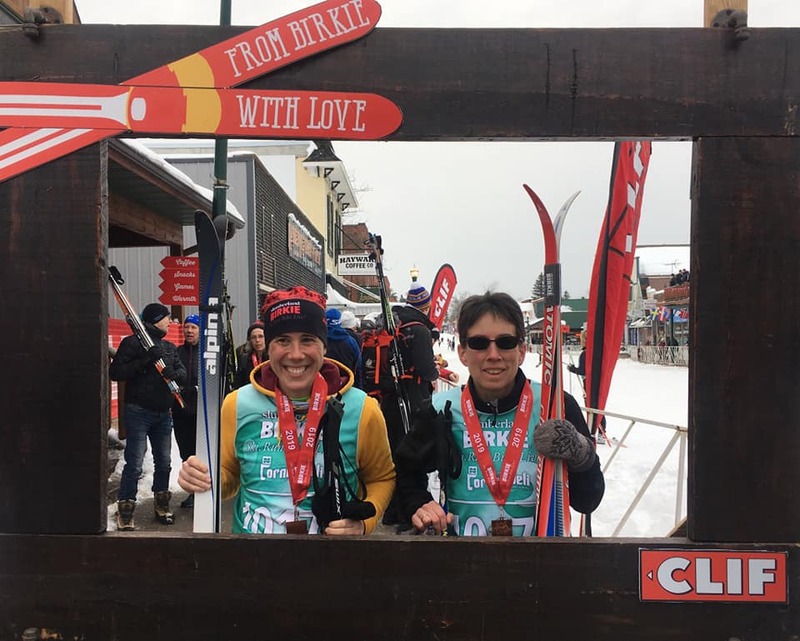 When it became obvious that I wasn’t going to go to the Birkie, even though I was the organizer, Jody stepped in and took the reins. It wasn’t the three lodging changes. My first reservation was canceled when the resort was sold, the second reservation when the owner decided to move back home. I reserved a third lodging option. After the sale didn’t go through on the first reservation, I reserved our original lodging. I remained steadfast throughout. I must have appeared as if I was in the throes of a personality disorder as I continually updated our group on lodging changes. It wasn’t that I didn’t get out and ski. I skied two or three times. Enough to know that I could do the Prince Hakken 15K, the shortest race of the Birkebeiner. No, it was something else entirely. Something I had to face. Because even though I did have meniscus surgery three weeks prior to Birkie 2019, I could have joined our group and been a spectator. It was the fact that I knew that I would be miserable. I had to acknowledge it. All the facts pointed to it. I don’t like the cold. 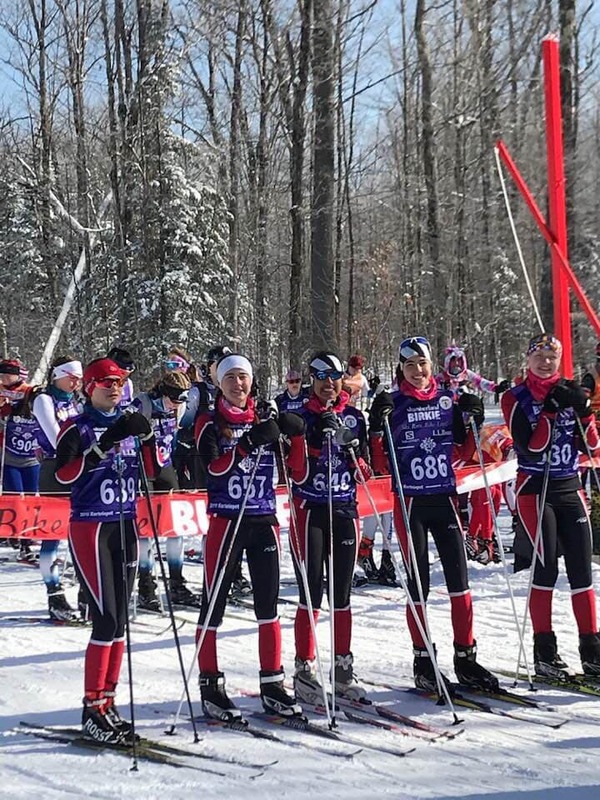 I had a goal this year to be at every high school Nordic ski race. I was determined. I declared to Juan Jose’ and Crystel that in 2018-2019 I’d be at every meet. In their 2017-2018 season, I made it to half of a race. I say half, because I never showed up at the start line. Instead, I snuck on the course at Hyland Hills, by walking through dark woods in deep snow. I stood at the edge of the lighted ski path, yelling, “Go Crystel, go!” to anyone who looked remotely like her. Later, I did learn that one of her friends heard me. It could have been her that I thought was Crystel. Skiers are bundled from their neck up, hiding themselves from the frigid air. With uniforms that hug their slight bodies, they all look alike. I hadn’t been to enough races to know Crystel’s nuances. I knew Juan’s. He dislikes the cold as much as I do. And, he’s on the team. If a race was optional, which this one was, he usually chose not to participate. I didn’t have the heart to tell him that he must. Heck, I couldn’t get out to even one race in 2017-2018. This season I didn’t go to any. She said it’s fun and that she likes the community. I scanned the crowd at the Nordic ski award banquet this year. Yes, the people seemed nice and the end of season slide show didn’t make me cold in the heated auditorium where we sat listening to the accolades. There wasn’t a bad parent award. Thought I might get that one if there was. Maybe I will get out next year to a Nordic ski race. But, let’s face it, probably not.